On the morning of Super Bowl Sunday we sat in the van lamenting the fact that while 30% of Americans would be eating guac and watching the game, we’d be taking turns laying on the floor to stay cool. Levi unsuccessfully attempted to jimmy-rig the van TV, but it prefers to be more of a decorative TV than a functioning one. So we planned a long walk in the afternoon to try to curb the FOMO. Luckily we had church to help break up the day. We found a nearby service starting at 11:30 (in the same neighborhood its residents asked the cops kick us out of- which only makes this story more awesome). So we go to church and by evading questions about where we live, we almost make it out without having to go into the lengthy details of our homelessness. 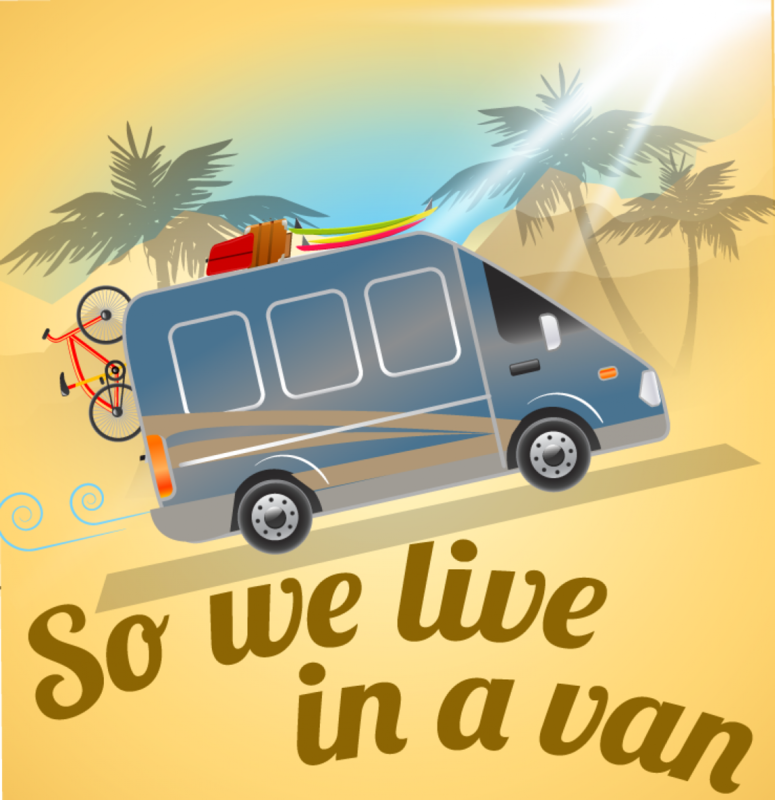 GUY: You are living in a van? You need a place to stay? ME: (reassuringly): Oh no. Thank you, no. We are totally fine. GUY: Are you sure? I have an empty place. ME (a little embarrassed): No really, we just do it for the adventure. We are fine. GUY: I have an empty house on the beach. No one is there. ME (confused): You have an empty house on the beach? GUY (impatient): It’s a long story. Do you want to stay there or not? He is momentarily distracted by someone. He tells us to stay right there. Opening the gate to his home (some homes are protected by giant gates, others by simple car alarms– ours doesn’t have either), he begins describing the home’s architect and the inspiration behind the design….It’s the same architect that’s building their new home down the street. And the one in Santa Barbara. Makes sense. We get a quick walking tour of a beautiful home literally on the ocean’s cliff edge in one of the nicest neighborhoods in Southern California. Is this real life? He briefly stops at his large family photos (matching cashmere sweaters) and a couple of painted self-portraits. Weeeellll ok!! I mean we always do, but it doesn’t hurt that we also had no where else to go. We keep this to ourselves and smile. GUY: Please leave the key right here for the maid. And don’t make your bed so she knows to wash your sheets– Please don’t try to do it yourself, no one lives here, it will give her something to do. Ok make yourself at home. Thank you for being our guests, uh….what are your names? He starts to get in his car as we wave him goodbye. GUY: There’s a chance I may come back if I can’t catch a flight to Mexico tonight…. Us: You’re welcome any time! And we were left to ourselves thanks to this modern-day Good Samaritan. We made ourselves right at home, watched the sunset over the ocean and enjoyed the big game on the big tv– we were living large. Did we miss the lack of wifi, running water, fridge, toilets or privacy? Of course not! Fine dining: spaghetti made in a kitchen with a refrigerated beverage. In my jammies. In the dining room. With the candlestick. Breakfast the next day- eggs and sophistication. We got a taste of the good life people. The original American Dream. The one we are now toootally open to living once we finish experiencing this alternative American Dream. Maybe we don’t have to choose just one life. (Or maybe we get to choose, because it’s America damn it). But maybe dreaming big means dreaming more than one dream. In that case, count us in America. Unreal. Loved Levi’s tour…and Andy’s giddiness made this even more fun! So happy for you two and the sweet things that work out for you. Dan and I can’t stop laughing! What a life you two are experiencing. I can’t believe he just offered his house to you not knowing anything about you! So cool and I’m with Molly, your laughing had us laughing. Sweet deal guys. SO awesome! I love that the guy was so willing to share what he has. Not that I’ll ever have his life but if by some crazy chance I’d want to be just like him. Your adventure just keeps getting better and better! I’m with Alicia, I want to come and visit! I’m actually at a loss for words here. I’m all about having a good story but I’m needing to up my game now. I’m not quite sure how I’m going to do that with such competition. My awe at the situation is now abating (only slightly). I have to wonder if the guy who had you stay at his empty house is now secretly following this blog to see what you say about him. That was a kind thing for him to do. It also make me think about how someone can do so well financially. I’m not against someone doing well at all. I just wonder why I seem to “just get by.” I am blessed immensely for which I am grateful. I would like to do well enough to help others and make a difference in their lives. Yes, we all want to enjoy life but isn’t part of that helping others enjoy life? Now I have some thoughts to sleep on. I’m happy you guys have a little bit of luxury to break up the monotony of a one room house on wheels. Fun story and super nice of him! I’m pretty sure you stayed at my friend Annie Paullin’s uncle’s house. Or it was her old house, she used to live in Palos Verdes, but now they have a house in Manhattan Beach. I’ve for sure stayed at that guy’s cabin in Mammoth. Also very nice.